The striking Morepork (Ruru) Barn is a blend of the iconic Kiwi shed with a contemporary studio interior. 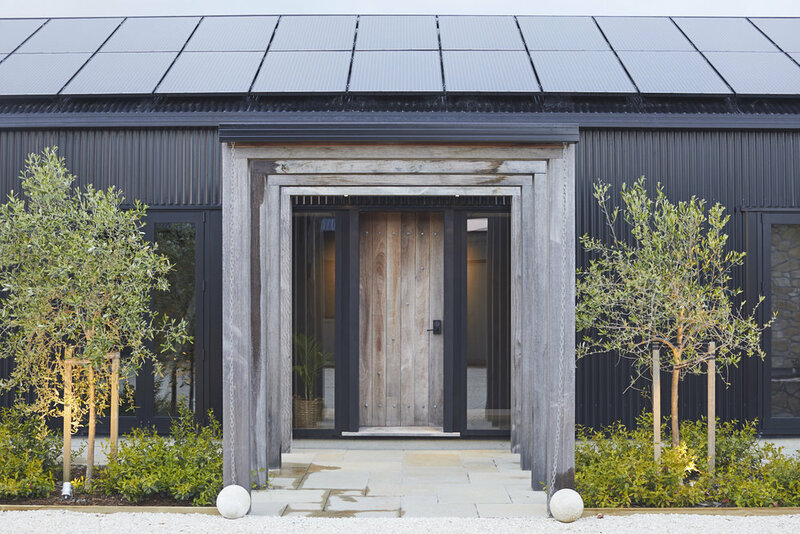 Set directly across from the main lodge, Morepork (Ruru) Barn supports an impressive 42 solar panels to sustainably power the lodge framed with a purpleheart timber entry pergola. It features a generous double-height studio with views out to the orchard and native bush. A generous limestone paved courtyard provides the perfect location to watch the sun set, sitting around the open fire brazier. Morepork (Ruru) Barn is fully self-contained with its own separate entry, ensuite, kitchenette and walk-in wardrobe featuring an outdoor shower, complimentary minibar, private dining facilities and a central wood-burning fireplace.